The No 12 bus plies from Oxford Circus to Dulwich Library. I use it often, so when Ken Livingstone, as Mayor of London, imposed the long, uncomfortable and occasionally lethal ‘bendy bus’ on this route I was not best pleased. This mistake tended to outweigh Red Ken’s positive legacy, notably the sensible Congestion Charge. So when his successor, Boris Johnson, promised to banish the bendy bus (they all went to Malta) he began well. Even better, he introduced a new type of double-decker bus, the first proper London bus to be developed since Margaret Thatcher abolished the London Transport works at Chiswick. Designed by the Heatherwick Studio, with three sets of doors and not one but two staircases, it rides smoothly and is rather a triumph. But this admirable vehicle will surely be the only positive legacy of Johnson’s reign as Mayor (the so-called ‘Boris Bikes’ hire scheme was first proposed and planned by Livingstone). In most other respects it has been a disaster for London – for both its architecture and its citizens. It is true that Livingstone also encouraged the building of high-rise towers, but the process of making our capital a sort of Dubai-on-Thames, a tawdry, pointless imitation of Shanghai or Hong Kong, has really got going under Johnson. London is being ruined, and it is now almost too late to reverse the process. Mediocre residential towers, gimmicky in design and, at ground level, contributing little or nothing to the public realm, are now lining the Thames and sprouting densely in Battersea, Shoreditch and other parts of inner London. There was much relief when, earlier this year, the proposal for the 72-storey ‘Paddington Pole’ (supported by Johnson) was withdrawn, thanks, for once, to public opinion and the Skyline Campaign, but that is little compensation for the fact that there are plans for some 260 tall buildings – of more than twenty storeys – already in the planning pipeline. Of course, the Mayor is not solely responsible for this alarming transformation of our capital. We have a government that is content for large amounts of residential accommodation – some already built, some still on the drawing board – to be bought up by the collection of tax exiles, oligarchs, foreign investors, prudent exiles and criminals it is happy to encourage to invest in London, even though most have no intention of occupying these properties. Such investments contribute little or nothing to the economy of London and, by raising already absurd property prices, fuel the socially and economically disastrous process of forcing real Londoners to live much further out, or elsewhere. It is a process also abetted by the inner-London boroughs which, strapped for cash, tend to favour developments which might bring in more income. Most of these towers are residential, but as they are speculative commercial developments they will contribute little to alleviating the capital’s housing crisis. But there is no doubt that the principal villain of the piece is the Mayor. A year or so ago, Johnson claimed that: ‘Virtually all tall buildings that have been given consent are within areas specifically identified as suitable for such buildings, both by the boroughs and by the London plan.’ The sudden proliferation of such buildings, from Battersea to Canary Wharf, from the Elephant and Castle to Hackney, gives the lie to this mendacious claim. And this is not only because the Mayor, seemingly in awe of big money, actively encourages such developments. It is happening because he is subverting what safeguards we have under the planning process. 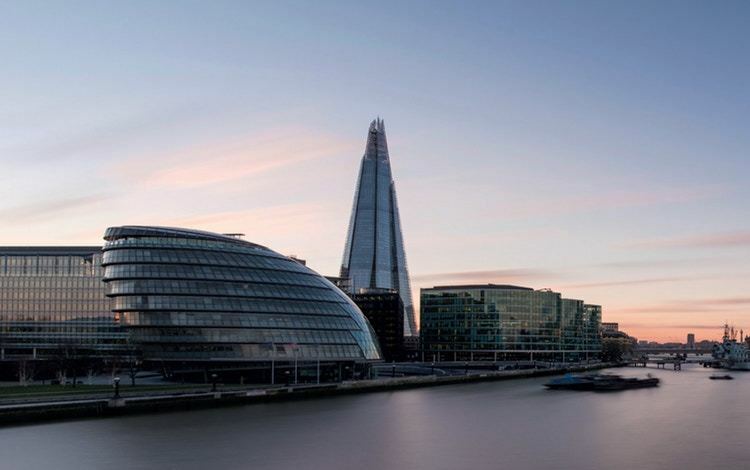 The Mayor of London has the power to call in planning applications for decision, endorsing or overruling whatever planning decision may have been reached by the local authority – that is, by the planning committees of the London boroughs. Since assuming office, Johnson has exercised his powers to call in and determine planning applications on thirteen occasions, and in every single case he alone, autocratically, decided in favour of the developers and against the local authority which had come to a different decision. Thanks to him, the area north of the City of London around the old Bishopsgate goods station, for instance, will become a wall of towers, the opinions of the boroughs of Hackney and Tower Hamlets being ignored. What is monstrous is not only that the democratic planning process has been subverted by a single individual with his own agenda but also that London is being transformed without most of its citizens being aware of what is going on. I am reminded of Robert Byron’s excoriating 1937 polemic against the destruction of Georgian London, How We Celebrate the Coronation: ‘Slowly and furtively, but only too surely, England and the Empire are being defrauded of their ancient capital, against their wish and without their consent, and must needs find comfort, not in a city more beautiful or convenient, but in one whose sole advantage over its predecessor is that it can be sucked of a few more halfpennies by the leeches of... [fill in as required].’ Except that today it is being done not slowly but all too quickly. Late in the day, however, the public is waking up to what has been going on, hence the Skyline Campaign and its powerful online film ###i/i###. And Johnson may come to regret his last planning intervention. This was to call in the scheme to partially redevelop an area off Norton Folgate in Spitalfields. The Spitalfields Trust – founded back in 1977 after Dan Cruickshank and others thwarted British Land’s first attempt to redevelop within the Elder Street Conservation Area – has successfully asked for judicial review over this call-in, claiming that the Mayor’s direction was ‘adopted unlawfully and should be quashed’. Not only, it is argued, has Johnson erred on law over planning considerations, but a Freedom of Information request revealed that on the very day that a planning decision letter and a hefty bundle of documents, including letters of objection, were received by the Greater London Authority from Tower Hamlets, an email was sent to consultants acting for the developer, assuring them that the Mayor would call the case in – i.e. before anyone could possibly have read through the documents and considered the evidence. Scrutiny of his actions is, of course, the last thing the retiring Mayor of London wants. But the wretched Garden Bridge may be the least of it: Mayor Johnson’s principal legacy will be the transformation of the skyline of London. And it is not an improvement.